Home TV Show ‘Immortal Songs’ First Half of 2018 Special’s BIG MATCH! ‘Immortal Songs’ First Half of 2018 Special’s BIG MATCH! The upcoming episode of ‘Immortal Songs’ features the First Half of 2018 Special, starring the strong vocalists who have won the trophies during the first half of the year. 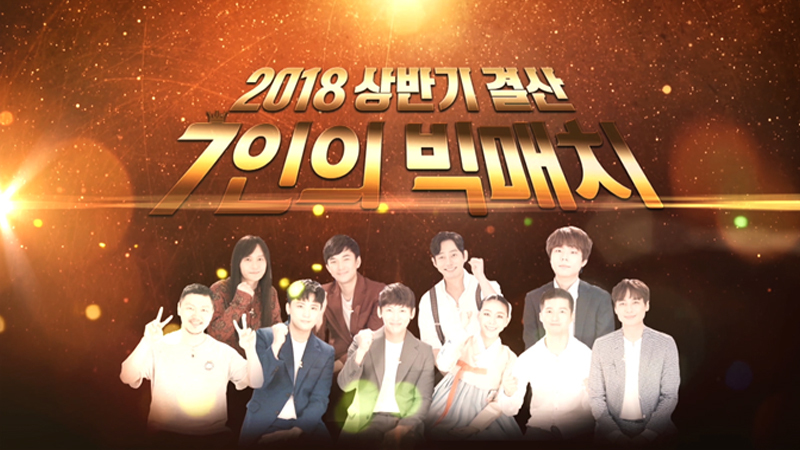 The seven contestants are: Kim Kyung Ho, a rock vocalist with most wins during this year and who has recorded an all-kill; Lee Jee Hoon, musical actor and singer who recorded the first victory; YDG, rapper and singer who has the highest winning rate; V.O.S., a ballad group who won the ‘Shane Filan’ episode and was invited to his concert in Korea as the sole guest; ballad singer Tei; Korean classical musician Kim Nani and modern dancer Jeong Seoksun, who are a couple; and the youngest contestant Jung Seung-Hwan, a ballad singer. As it is a big match, the teams have made some shocking and unusual selection of songs. Stay tuned to watch and listen to splendid performances and touching voices!